Programmer, poker player, sailor, soccer fan, founder of Ercoin and Paspagon, capitalist. #Mustache is advertised as “logic-less templates”. In reality it contains some logic: a section can be displayed or not depending on whether a variable is non false. Bad marketing. LTV: “the economic value of a good or service is determined by the total amount of »socially necessary labor« required to produce it”. Hence it should not matter if a car has square wheels. law of value: “the relative exchange-values […] are proportional to the average amounts of human labor-time”. “Proportional”, hence capital does not matter. @Antanicus So the law of value basically tells us that non-human resources are abundant? This seems coherent with marxists’ dislike for property rights (which are introduced to deal with scarcity of physical objects). @tool_man Separating binary from the rest of the site sounds like a logical solution, but it would probably mean splitting the site into two repositories and it would be rather problematic in regard to CI setup. Also Hakyll binaries contain hardcoded paths, so this separation of content from generator wouldn’t be very natural. @Antanicus Well, human labour can be exchanged for computer labour, so I see no problem in that matter except that Marx’s Law of Value seems to artificially limit itself to human labour (at least when reading the abstract at https://en.wikipedia.org/wiki/Law_of_value ). Let’s say that we have a transport service. Does the value of that service fundamentally depend on whether it is performed by a human, by a horse or by an autonomous car? @stefannagy Doesn’t Marx however compare labour quantitatively, like “if this commodity is exchanged for two times the price of that commodity, then it requires two times more labour to be produced”? Starting today, http://ercoin.tech is generated using #Zodiac instead of #Hakyll. It therefore depends on #Make and #AWK instead of gigabytes of Haskell binaries. A minimalistic static site generator for a minimalistic site (1 HTML file, 1 CSS file). 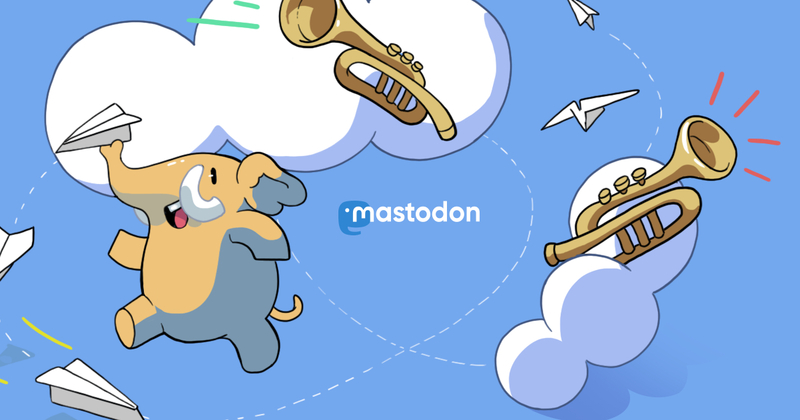 @DatTux “Federated search” sounds like an overstatement in regard to Mastodon… only posts already available on a particular instance can be searched. • When using Stack, the ~/.stack directory is about 3.5 GB. • The build fails when running on CI, (apparently due to an old Stack version): https://gitlab.com/Ercoin/ercoin.tech/-/jobs/72181366 . • When fixed, the build times out after one hour of running: https://gitlab.com/Ercoin/ercoin.tech/-/jobs/72264358 . All activitypub privacy is based on trusting all other servers. I always said that this makes any expectation of true privacy on the fediverse a fantasy. You can modify a mastodon instance to publically show all incoming private posts in 2 lines of code. Same goes for locked accounts and blocks. • provide paid access again to those who still need the article. • provide paid print (PDF) and opton (EPUB, MOBI) versions. (This is actually what my jekyll-paspagon plugin had been allowing). @steckerhalter@mastodon.social Sometimes it is easier to demand more than less. @steckerhalter@mastodon.social Yes, there are workarounds. However GitHub not having this feature means that it doesn&apos;t intend to be used as a mirror. This may be an argument for… not mirroring projects on GitHub. @steckerhalter@mastodon.social @vickysteeves Still however there is no way to disable pull requests on GitHub. @Wolf480pl Let’s say that we both have some electricity to sell. I then pay you, say, $150 to burn 1000 kWh. You then also pay me $150 to burn 1000 kWh. Money outcome of transactions is 0… but we both now have 1000 kWh less of electricity, so this is a clear loss. @Wolf480pl If you host a file upload service for free, then it may have utility for your users and for you the utility may be that you help spreading some files and make your users happy. @Wolf480pl Well, in that sense if I turn a light bulb on, but close it in a black box, then it is profitable to electricity sellers. However it is neither profitable nor beneficial to me, hence from my point of view there is no utility in turning the bulb on. What utility does proof of work provide to cryptocurrency users (unless it is used to obtain security, as in Bitcoin)? @Wolf480pl According to Google Translate, utility is “the state of being useful, profitable, or beneficial”.